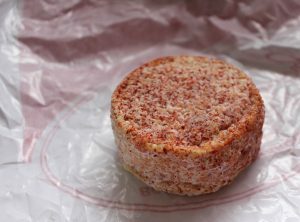 Selles-sur-Cher is made from unpasteurized goat’s milk. 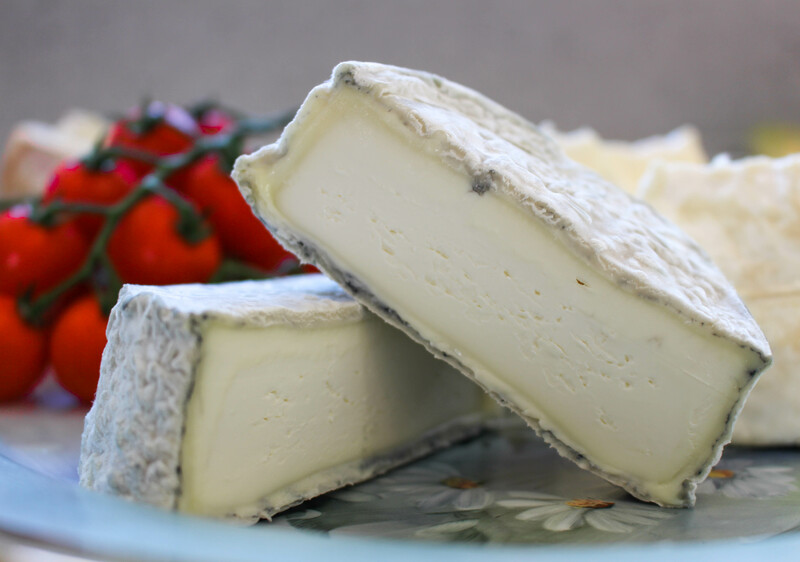 It’s interior is a brilliant white color and it has a blue/grey ash coated rind. The cheese normally measures around 8cm in diameter making it a great size for a cheeseboard. It melts in the mouth and has a sharp, slightly salty aftertaste pronounced by its rind. Its name literally translates as ‘Saddles of Cher’. Cher is a river in central France and is where you can find the famous Château de Chenonceau. Selle Selles-sur-Cher is produced in the departments of Loir-et-Cher and Indres-et-Loire of north central France and was granted its AOC status in 1975. I came across this Espelette Pepper coated Selles-sur-Cher on a recent trip to St.Tropez. Piment d’Espellette is a form of chilli pepper, it comes from the Basque country and was classified its own AOC back in 2000. It looks very pretty and tasted delicious with a dollop of chilli jam on it which gave a sweet and extra spicy kick.